The warm and friendly atmosphere at Reynoldsburg Dental Center makes it the ideal place to bring your child to maintain their dental health. With years of experience and children of our own, we are practiced at making children feel comfortable so they can have a positive experience at the dentist and promote a lifetime of consistent dental care. We recommend seeing your child for the first time when they age two or three and then regularly every six months. 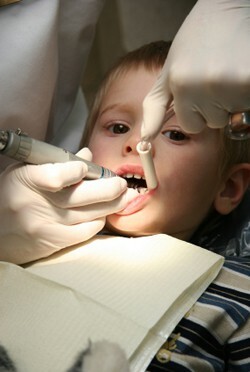 During the first visits we will count, examine and clean their teeth. As they grow, we may take x-rays, apply fluoride treatments or sealants as needed. We will also coach your child on proper brushing and flossing techniques and end the appointment with a new toothbrush and toy.